What is piczzle? It's a site that takes any picture and then turns it into a puzzle! 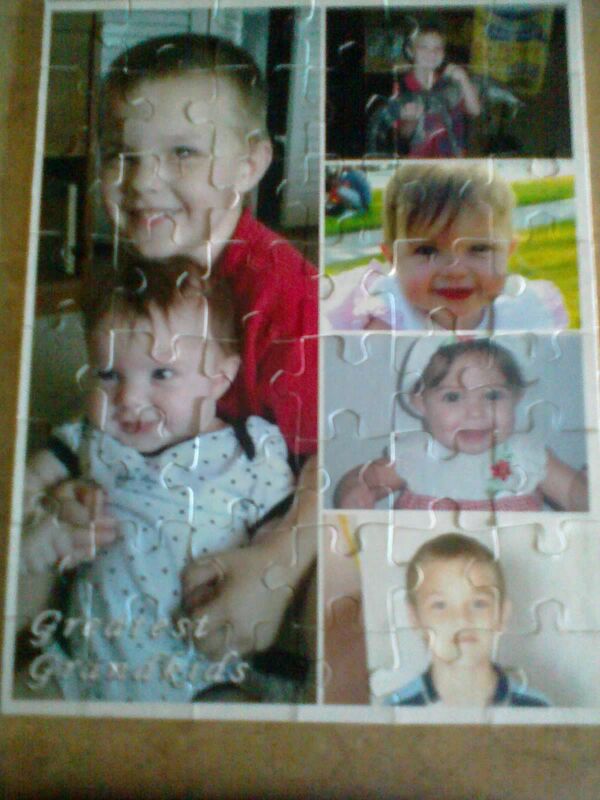 My mom and I have been doing puzzles since I was little, so what better gift than a picture of her grand kids in puzzle form. I choose a Medium cardboard Photo Puzzle which was 48 pieces. I gave it to my mom as a gift and she loved building it with my oldest son Brian who is 8. He loves puzzles as well. It was a great way to say "Thank you for being a great mom"
Piczzle Photo Puzzles have many designs to pick from. You have classic cardboard, heart shape, wooden, and round. Each can be personalized to say whatever you wish. The quality of the cardboard is very stiff and does not bend.. You can pick out puzzles from 6 pieces to 2,000 pieces depending on your picture size and puzzle design you want. At Piczzle you can also pick out frames to add to your personalization. 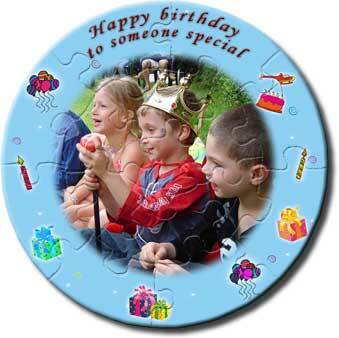 Piczzle makes a great gift for all occasions. Valentine's Day has passed but now you can look forward to Mother's Day, Father's Day, get well, thank you and many many more. I love my puzzle and you can purchase your own personal one by clicking the link here. You can check out Piczzle Photo Puzzles on Facebook and Piczzle Photo Puzzles on YouTube. 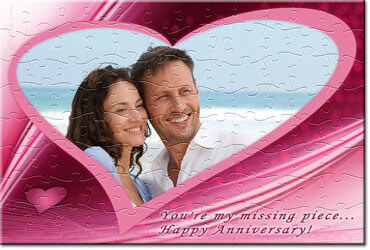 Win your own Small Cardboard Photo Puzzle, enter the rafflecopter below, contest ends 2/27/13 open to U.S. residents only. Disclosure: I was given Piczzle Puzzle to help with my review. All opinions are 100% mine.I received one or more of the products mentioned above for free using Tomoson.com. Regardless, I only recommend products or services I use personally and believe will be good for my readers. I like the 150 pieces Large Wooden Photo Puzzle! Thanks so much for the fantastic giveaway! I love the Elegant Gold Holiday Design! I like the heart shape puzzle design.